Update 1 of 2: Beginning Friday, Oct. 5, at 8 a.m., the exit route from the Short Term Parking Garage to Terminal Drive will change. 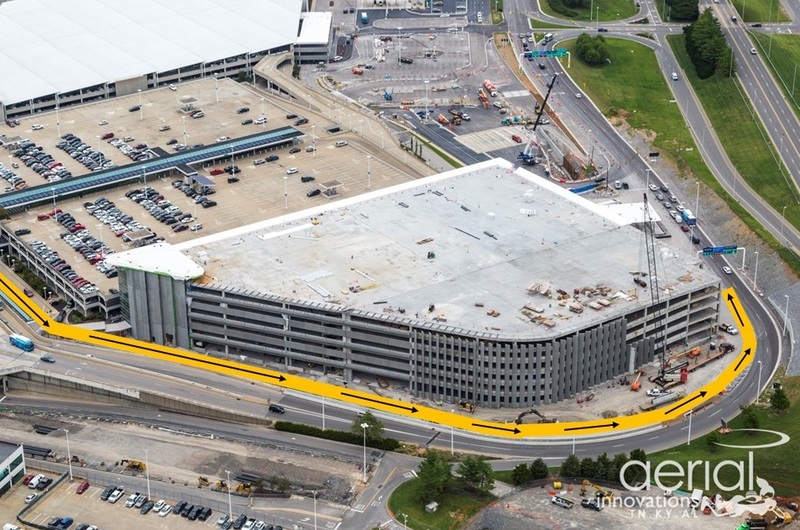 Signage will be in place to direct drivers along the new route. The entry route has not changed. Please see map below for reference. 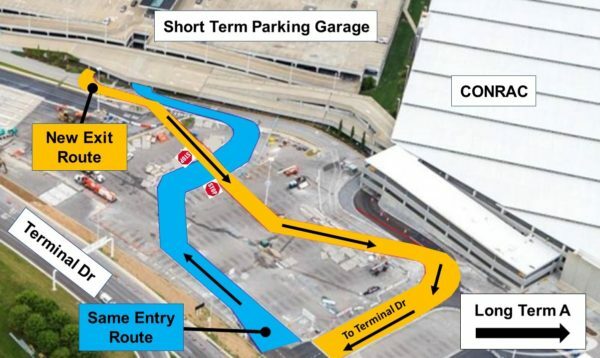 This new exit route will be in effect until short-term parking moves to the new Parking and Transportation Center in November. Update 2 of 2: The Ground Transportation level of Terminal Drive will re-open Friday, Oct. 5, at 8 a.m. Traffic leaving the Terminal on Level 1 will again follow the normal exit route around the south side of the Parking and Transportation Center, and continue north to access Donelson Pike and I-40.